PUNE: Pune Highway safety patrol (HSP) officials have nailed negligent driving, otherwise referred to as ‘human error’ as the main reason for road accidents and the resulting loss of lives in Maharashtra. The most recent case of this was the major accident along Pune-Nashik highway on Monday which claimed nine lives and left 15 injured. A truck carrying onions was parked close to the divider along the highway due to a flat tyre when a State Transport bus that was travelling from Trimbakeshwar to Pune crashed into it. According to statistics released by the state highways while replying to an RTI query, the state witnessed 1,02,000 deaths due to road accidents within eight years between 2009 and 2016 . 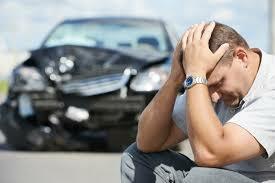 Of these deaths, 88,125, as much as 86%, of the deaths are caused by human error, mostly due to the driver’s fault. Of the 1,02,000 deaths, Pune rural areas recorded 7,574 within these eight years - the highest among all the districts. Of the total number of deaths, the five districts with highest number of deaths were identified as Pune rural with 7,574, Ahmednagar (6,194), Nashik rural (6,000), Mumbai (4,448) and Solapur rural (4,319). The numbers put the calculated annual average of lives lost per year due to road accidents in Pune rural to 947. The total number of accidents have reduced from 21,365 in the first six months of 2016 as compared to 18,730 in the year 2017, according to the statistics. India witnesses 5,00,000 accidents every year which claim 1,50,000 lives and 3,00,000 lose/break their limbs," Union road transport and highway minister Nitin Gadkari had said during the foundation stone laying ceremony of the long-awaited Chandani Chowk bridge in Pune last week.